The “Free Churro” episode in the middle of the 5th season takes Bojack Horseman up a notch than the earlier concept episodes and is just about the best thing this show has ever made. After 5 seasons, BoJack Horseman’s tendency to experiment within the confines of television is well-established. To name only a few examples, there’s the big swing of Fish Out Of Water, the structural shuffling of Stop The Presses and After The Party , the futuristic fakeout of Ruthie , the drug and dementia trips of Downer Ending and Time’s Arrow. The “Free Churro” episode in the middle of the 5th season takes it up a notch than the earlier concept episodes and is just about the best thing this show has ever made. With our opening, we flashback to a moment with BoJack’s father, Butterscotch, who is picking him up incredibly late from soccer practice. His mother couldn’t make it, so he had to come! And it ruined a day of writing! BoJack sits terrified as his father launches into a lengthy, misogyny-laden tirade, “It’s one thing for a woman to weep, but it’s another when they do it at a volume where you can hear it through the door. That’s when you know they’re doing it for the attention!” He continues to be the worst person as he yells at his silent child, as if orating angrily to his captive audience. And that’s the entire episode. BoJack Horseman, delivering his mother’s eulogy, all to his own captive audience. There are no cutaways or narrative tricks. We simply watch one man take us through the grim portrait of his relationship with his parents, as if it were a one-man show. He keeps talking, and keeps talking, and keeps talking. And the camera never stops following him. The perspective breaks from time to time as his angle on the coffin shifts… and at one point escapes into a brief shadowy memory of his mother showing a moment of grace, but it never once pans over to face the rest of the audience. Not once does anyone step up and try to cut him off, and not once does he move to bring anyone else up on stage. “Free Churro” is The BoJack Horseman Show and it is a complete masterstroke. There’s a few corny jokes about his mother and death, complete with the organist able to offer a rimshot now and then. Like the jokes, they too are poorly timed…!! The roast component of the evening can only last for so long though. Season four truly pulled back the curtain on how much damage Bea did to BoJack growing up, with her near-constant insults and judgments forged out of her own unfortunate upbringing. Now, he’s replaced his desire to truly convey how much he hates her with the freedom that she can’t respond to anything he says, getting increasingly nasty with the closed casket: “Knock once if you’re proud of me.” “Knock once if you think I should shut up.” “Knock once if you love me.” It’s gallows humor that would be horrific without the context of this relationship, and even with that context it’s a deeply discomforting thing to witness. 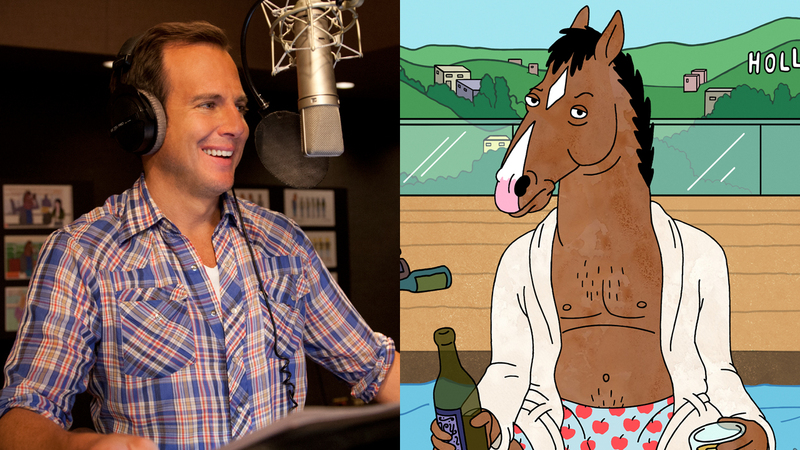 It’d be easy to see an episode like this as an excuse to simply give Will Arnett a showcase episode for an Outstanding Character Voice-Over Performance Emmy. And if that was the case, mission accomplished, because “Free Churro” goes right alongside “Stupid Piece Of Sh*t” as proof that this is the role of his career. In a season where the conscious grittiness of Philbert has him relying largely on his Batman voice, Arnett makes a meal out of BoJack’s emotional roller coaster. You can hear every last bit of forced levity, resentment, and genuine pain as BoJack tries to find some way to come to terms with Bea’s death, and his feelings or lack thereof about the matter. Then, the horrific punchline of opening the casket, doing a double-take, and checking the funeral program. There’s no level that this joke doesn’t work on, simultaneously sabotaging and amplifying every one of “Free Churro’s” preceding 24 minutes. It’s a move that only further proves that in terms of subverting expectations and pushing the envelope, nothing on television can touch BoJack Horseman. Bojack Horseman displays once again that a series based on a horse can really be one of the most relatable and human shows running today.